Kent police say a woman was killed and two of her passengers were critically injured in a head-on crash with a distracted driver Monday evening. 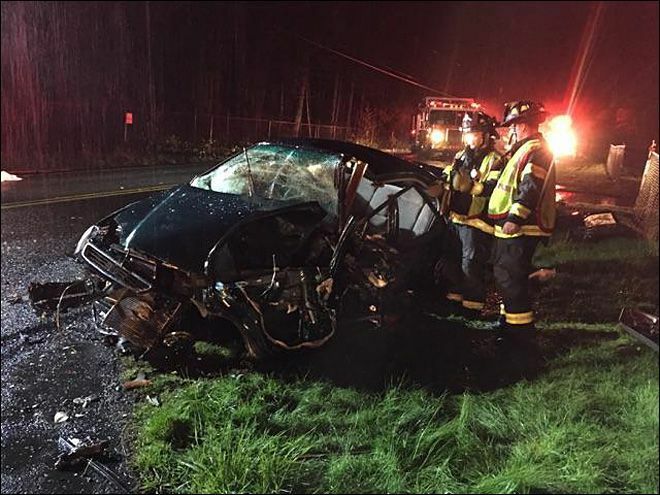 According to KOMO, a man in a Ford sedan was driving in the 20200 block of 148th Avenue Southeast in Kent when he crossed the centerline and crashed head-on into a Honda driving in the opposite direction. The female driver of the Honda died at the scene, while her two passengers were critically injured and transported to Harborview Medical Center in Seattle. Officials with the King County Sheriff’s Office (KCSO) told reporters that they suspect the driver who caused the accident was using distracted at the time of the crash. There were no passengers in his car at the time, and he was not injured in the crash. Investigators believe the driver of the Ford had taken his eyes off the road to look down at his cell phone. This tragic collision comes in the middle of April’s Distracted Driving Awareness Month, a nationwide campaign aimed at educating both new and experienced drivers about the dangers of distracted driving. According to the Centers for Disease Control and Prevention, 3,328 people were killed in distracted driving-related crashes in 2012, the last year for which data on the topic was available. Several studies actually suggest that distracted driving is even more likely to result in a serious injury or fatality than driving under the influence of alcohol.